During an interview on 8 March, Commission President Jean-Claude Juncker said that the EU needed its own military, in order to deal with the Russian threat, as well as to restore the bloc’s standing around the world. Not everyone agrees. Germany and France support Juncker’s idea, while Poland, Romania, the Czech Republic and Slovakia insist that NATO should remain the guarantor of security on the European continent. The EURACTIV network reports. EURACTIV asked its network to report on national reactions. Unsurprisingly, the British position was negative. Chancellor Angela Merkel and Foreign Minister Frank-Walter Steinmeier (SPD) are in favour of a European military, but they both stated at the beginning of March that Juncker’s proposal could only be realized over the long-term, and should be discussed further at EU level. “The Chancellor agrees that it is generally good that there is and should be a deeper military cooperation in Europe,” said deputy government spokeswoman Christiane Wirtz, also referring to the “concentrated challenges” in European security policy, which require a common response. Elmar Brok, an influential MEP from Merkel’s CDU party, said an EU treaty change was necessary for giving flesh to the idea of a European army. Normally troops are sent abroad by a decision of parliament. Since it is not possible to wait for 28 parliaments to decide, countries should delegate this right to the European Parliament. In the Berlin’s Tagesspiegel, Steinmeier spoke of “new risks and threats” to European peace that necessitate a “swift adaptation” of the security strategy. “For the SPD, the long-term goal of a European army is a major policy matter and has been part of the party program for many years,” he said. Government officials in Berlin made it clear they do not expect any swift implementation. Wirtz spoke of a “future project that can’t be forced into a schedule”. A spokesman from the Defense Ministry called the project a “long-term goal”. Defense Minister Ursula von der Leyen (CDU) welcomed Juncker’s proposal. Speaking to Bayerischer Rundfunk, Omid Nouripour, an MP from Germany’s Green Party, supports Juncker’s proposal in principle, calling it an “excellent idea”. Such a denationalization of the armed forces would in his view be the largest contribution to a policy of peace in the world. But a common army could not exist as long as there is no real common foreign policy, he argued. Claudia Major and Christian Mölling from the German Institute for International and Security Affairs (SWP) see the whole discussion as an ideological battle that does not advance Europe’s defense. Instead, they call for pragmatic steps on the way to a defensible Europe. According to both political scientists, many issues are unclear, such as where the joint army should be deployed, and who should be in control or authorize the army’s use. Major and Mölling regularly see considerable resistance against a real debate about the idea, because with the Europeanisation of defence, national privileges and traditions would need to be abandoned. Thus, the call for a European army remains a symbolic commitment to more Europe, situated in the far future, that only distracts from the real problems of European defence in the here-and-now. Commenting on Juncker’s support for a European army, French Prime Minister Manuel Valls said that such an army “already exists”, adding it was France who assumed the heaviest burden each time the EU undertook a military effort abroad. Harlem Désir, the French Secretary of State for European Affairs, said that France was very keen to implement a real common European defence policy. “We hope to make progress with the European defence policy, which is indispensable in light of the peace and security challenges that Europe faces from its surrounding countries, to which we must find a common response,” Désir said. He said France was keen on working not only on issues such as capability, external operations and financing, but also in the field of the European defence industry. France was in favour of the merger between the French and German armoured vehicle manufacturers Nexter and KMW, Désir said, adding that work had also started on developing European surveillance drones following a decision of the European Council of December 2013. “We have to continue combining our industrial forces,” the Secretary of State said. But before entertaining thoughts of a European army, he stressed the need to make full use of the agreements already in place, which allow the EU to mobilise response teams, like those recently sent to Mali and the Central African Republic. “But it took a long series of negotiations before around 60 European soldiers were deployed alongside French and African troops in this last conflict. Europe can and must do better. This will be discussed at the European Council in June,” Désir said. EURACTIV Italy interviewed the Executive Vice President of the Istituto Affari Internazionali (IAI) Gianni Bonvicini, who argued that if EU countries want to move towards a European army, they can already make progress under the Lisbon Treaty. “The Lisbon Treaty includes the possibility of creating a cooperation in this sector. Therefore the member states can get together and launch a stronger cooperation in defense,” Bonvicini said. The scholar argued that NATO was not an obstacle if member states wanted to do more in the defense field, compared to the past, as the United States was ready to share responsibilities in this field. “Yet the EU lacks reliability, because member states failed to reach an agreement on this issue. In 1998, during the St. Malo summit, the UK and France agreed to increase cooperation between their armed forces, setting a new era for their military relations. But today things have changed, and the UK doesn’t want to participate in this project anymore,” Bonvicini said. The Czech Republic supports the idea of a common EU army, but says that this army will become a reality in the future. Minister of Defence Martin Stropnický said the idea was not surprising. “The only thing which is new is that Juncker puts the vision of the EU armed forces in context with (of) the Russian challenge,” Stropnický told EURACTIV.cz. But for this purpose there is NATO, Stropnický stressed. “The Czech Republic perceives the NATO as a primary tool of European collective defence and deterrence of eventual aggressor(s),” the minister said. The discussion about the possible common EU armed forces appears to be in limbo in the Czech Republic. 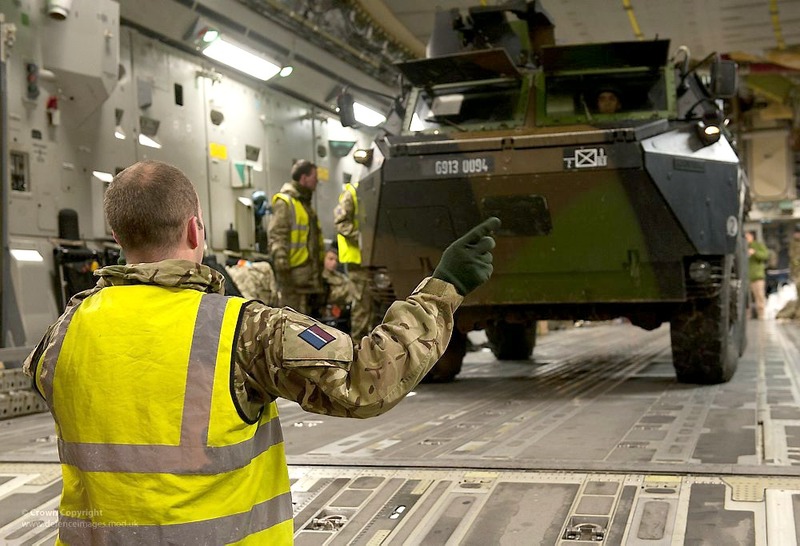 Politicians addressed by EURACTIV mainly welcome the idea of a common EU army, but some of them sounded sceptical, and repeated that the core of European defence is NATO. “Juncker’s conception should not duplicate NATO, despite the fact not all the EU member states are members of NATO,” MP Marek Ženíšek, from the center-right opposition TOP 09 party, told EURACTIV. “We should strengthen the existing EU military conceptions as Battlegroups or (the) Pooling & Sharing Initiative,” he added. MP Ivan Gabal from the governmental KDU-?SL party (centre-right) who considers himself as a persuaded European, supports the idea of common EU army but he added that he would be careful in the current situation. “I clearly see the member states have a decisive word in defence and the EU is not responsible for combat action, besides other things because the EU institutions have no ability and capacity to formulate and adopt a political statement and to decide it,” Gabal said. “[…] the neutrality of the EU institutions has simply some limits and serious political decision about defence and using military solutions currently lies behind them,” he added. The idea of a European army did not spark much public interest in Slovakia. Strangely enough, not even the keenest adversaries of Slovak involvement in NATO seized the opportunity to speak up. Martina Balleková, the spokeswoman of the Slov Ministry of Defence, told EURACTIV Slovakia: “Since we do not know the details of this proposal, it would be premature to respond to it. However, we would like to focus on strengthening the Common Security and Defence Policy (CSDP) of the EU, in line with the decisions of the European Council of December 2013. Balleková added that progress in this area, including changes in our security environment, would be evaluated by the European Council in June 2015. “The North Atlantic Alliance remains the main security guarantor for Slovakia,” she stressed. Poland neither believes (in) nor wants a European army, a spokesperson of the Ministry of Defense told EURACTIV Poland. Being one of the member states geographically closer to Russia, and having had negative experiences with the country in the past, Warsaw is wary of any action that may bring any divisions to European solidarity against Russian aggression. Creating a common European army “is currently neither possible nor needed, Warsaw believes. (A) weakening of NATO’s cohesion in such a difficult moment of history is undesired”, the Ministry explained. Other government security agencies sounded equally sceptical. General Stanis?aw Koziej, the Chief of the National Security Bureau, called the potential creation of the European army “an idea that is virtuous but unrealistic in the current political situation”. Koziej explained that a common army would require civilian political oversight. Such oversight could only be provided by a united, federal Europe, a “United States of Europe”. Therefore, he does not believe that a creation of such an entity would be possible at the current stage of European integration. “There is no state that would relinquish control of its army or intelligence services. Therefore, while intellectually attractive, any talk about the European army, is only theoretical at this point,” Koziej told EURACTIV Poland. Yet Poland is all in favour of increasing European security capacities within NATO, as well as individually and regionally among the member states. The Polish MoD stressed to EURACTIV the need for an increased number of joint military exercises, with the aim “to provide experience and a framework for realising common goals”. In Romania, Jean-Claude Juncker’s proposal has been met with concern, particularly from academics. In a comprehensive article covering the issue, Valentin Naumescu, associate professor at Babe?-Bolyai University, wrote that the Junker idea translates the inefficiency of the Union’s foreign policy, and the obstinacy of EU leaders, into searching for alternatives for NATO. In an exclusive interview with EURACTIV Romania, Luciana Ghica, the Director of the Centre for International Cooperation and Development Studies (Department of Political Science, International Relations and Security Studies, University of Bucharest) stated that “Juncker has just opened a Pandora box”. “A European army would seem a natural step forward in the logic of nation-state building, an idea that addresses the core of the European Union political project and, at the same time, it shifts in a direction that many would find inappropriate, particularly within the current economic and security climate,” Ghica writes. The position of (the) Ministry of Defence is that it seems logical, and is the same as the Spanish Government. This was already stated by Spanish Minister of Foreign Affaires, José Manuel García-Margallo, in a meeting, which was held on 12 March, with NATO Secretary General Jens Stoltenberg. Both expressed their agreement on the creation of a future European army. They see it as a “complementary” unit to NATO, in order to avoid duplications and distortions. García-Margallo recalls that the objective is taken up in the Lisbon Treaty, and the new Strategy for Foreign Action of the Spanish Government. The Treaty of Lisbon contains a mutual defence clause, specifically binding EU Member States. If a member state is the victim of an armed attack on its territory, it can rely on the aid and assistance of the other member states, which are obliged to help. The Huffington Post: Armée européenne : une bonne idée ou une idée allemande? The NATO has it’s own Interests but needs anyway a stronger E.U. army ! YES BUT WHY STILL WAITING ?? Let’s share our defense policies ! Lets do it without throwing more money out the windows ! Stand United stay Strong because we are europeans ! Concerning Britain i have to ask Cameron why he wants to remain Scotland,England or Whales an RAF army but don’t want to unite the E.U. army ? I can only conclude CAMERON is a coward with NO LOGIC at all ! OK, An European what happens if one of Britain’s dependent Islands or territories located all around the world is attacked. Will the EU then join Britain & intervene, will it send EU troop’s to defend them & what happens if other EU nations have a conflicting interest & the EU say’s no. We in Britain already know BRITISH sovereignty over the Falkland Islands is not accepted by the European Parliament so what about the others. No doubt that a European Federal State of Britain without its own Army would be powerless & outvoted by other European Federal States & they would give the Falklands to Argentina & Gibraltar to the Spanish & hand over half a dozen other territories. You see the EU is very quick in demanding Britain defend it & it’s interests namely Libya & now Ukraine but has proven to be an unreliable ally when British interests are threatened. There is no way that Brussels with it’s meagre funds of 1% of GDP could ever afford to support an army. But if Europe was ever attacked by an external enemy the nations would have to act together anyway, quick smart. The failure to see the importance of closer cooperation is the result of a lack of military threat. A better alternative would be an expanded system of rapid reaction teams, which are far better motivated and more cost effective. Instead of one we could have ten of them, supplied by participating nations and training together, and you’re halfway there to owning an army already. Perhaps the Commission should first sort out its open border policies which have resulted in so many flooding into the Continent. Europe was until recently Christian. The Commission wishes to change that. an EU army to force EU will… the evil empire rises.